If you think you don’t have room on your property to add another room to your house, you might be overlooking some creative ways to fit in extra square footage – like building over your driveway. 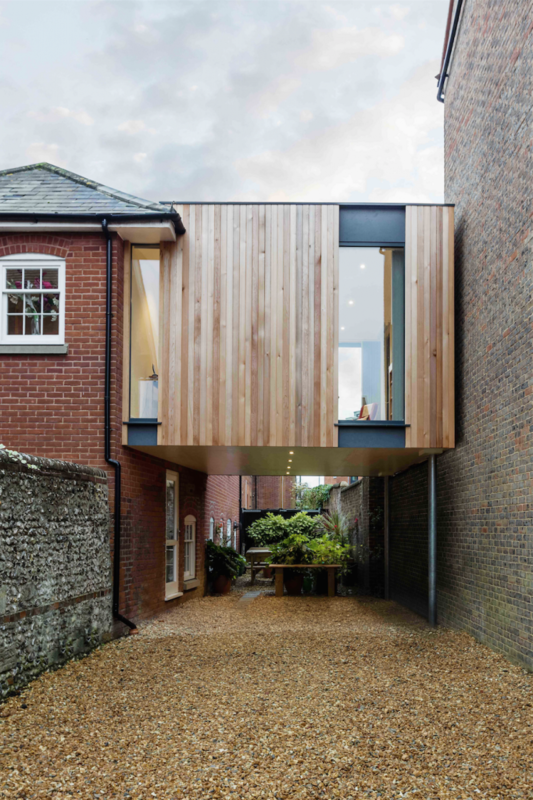 One homeowner in Winchester, England had nothing but a narrow, gravel-covered space between their historic home and the building next door, not to mention facing strict preservation laws that require extensions to stand out from the original structures. 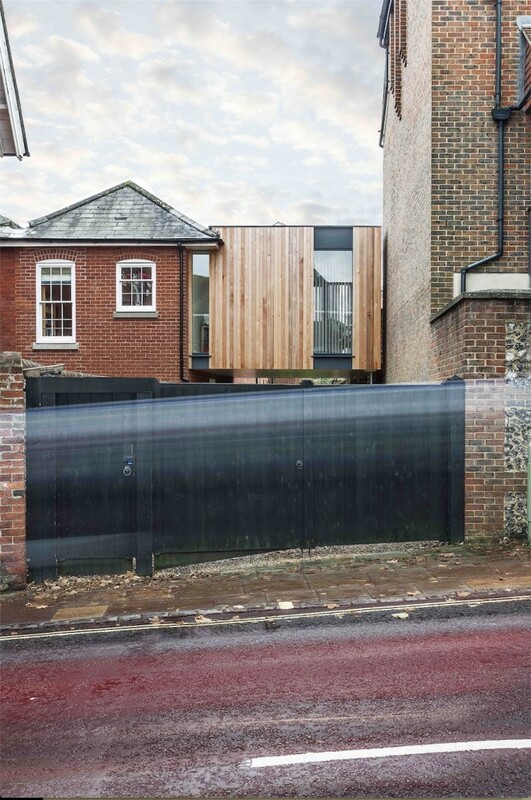 The client asked Adam Knibb Architects to find a way to add a south-facing room to their recently converted dwelling, which was once part of the Old St. Swithun’s school. The result is a floating timber box that sits flush against the home and is held up by nothing but a pair of poles on the other side. 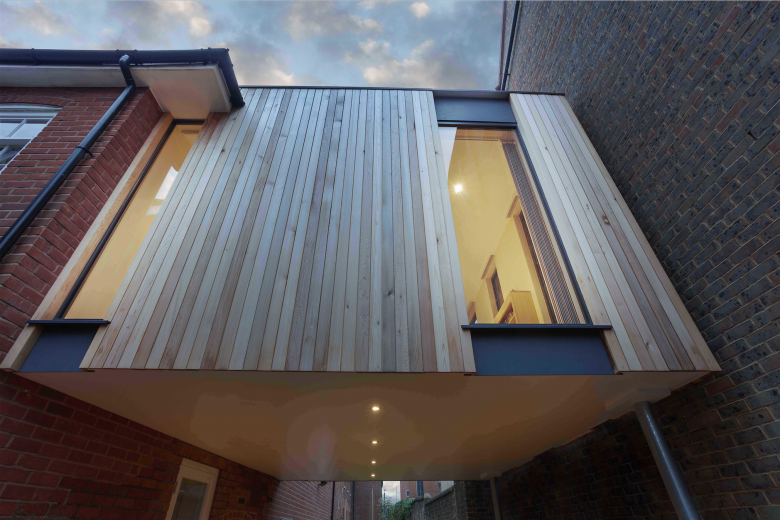 Vertical wood cladding slices up a series of tall and narrow windows on three sides, contrasting with the existing brick facades so there’s no confusion as to which elements of the building are historic and which are new. A skylight in the center floods the all-white interior with sunlight during the day. 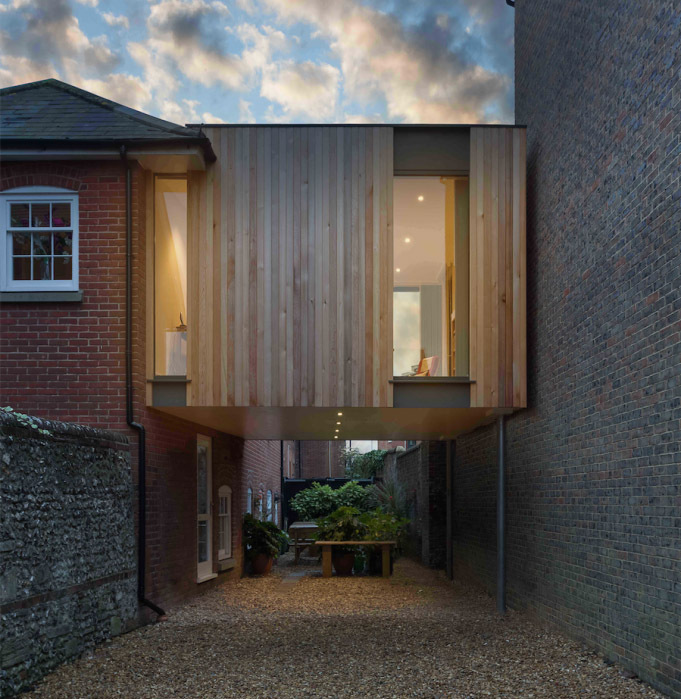 Not only does the addition take advantage of otherwise unusable vertical space, it creates a covered parking spot, illuminated by lights mounted to the underside of the box and leading to a small, private garden.